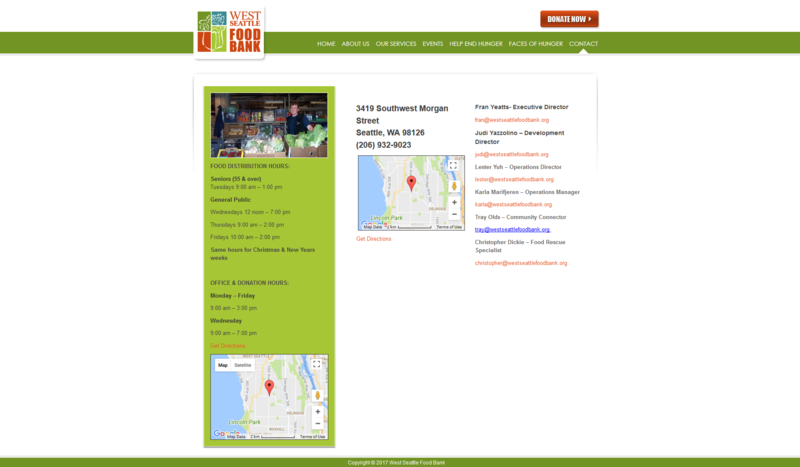 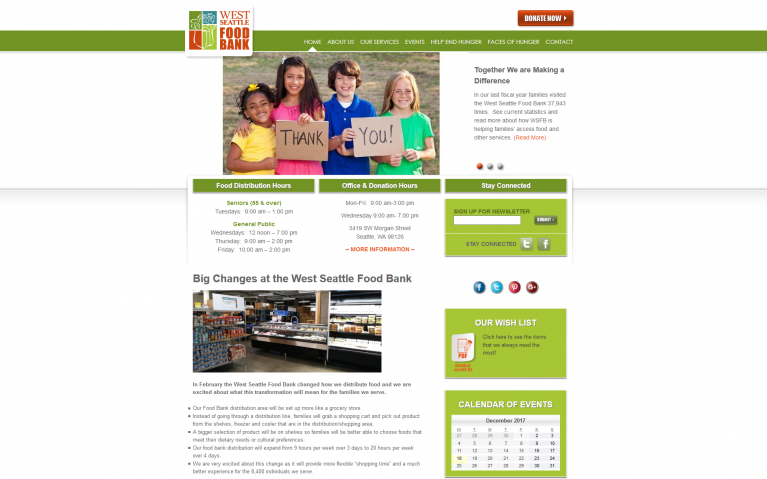 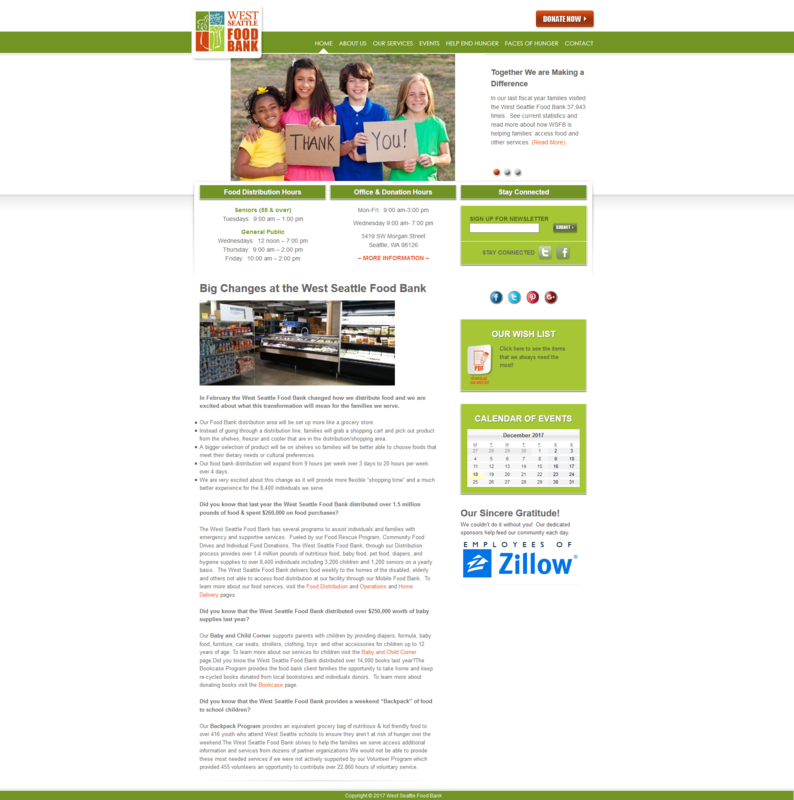 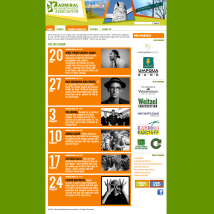 West Seattle Food Bank is a non-profit organization located in Seattle, WA. 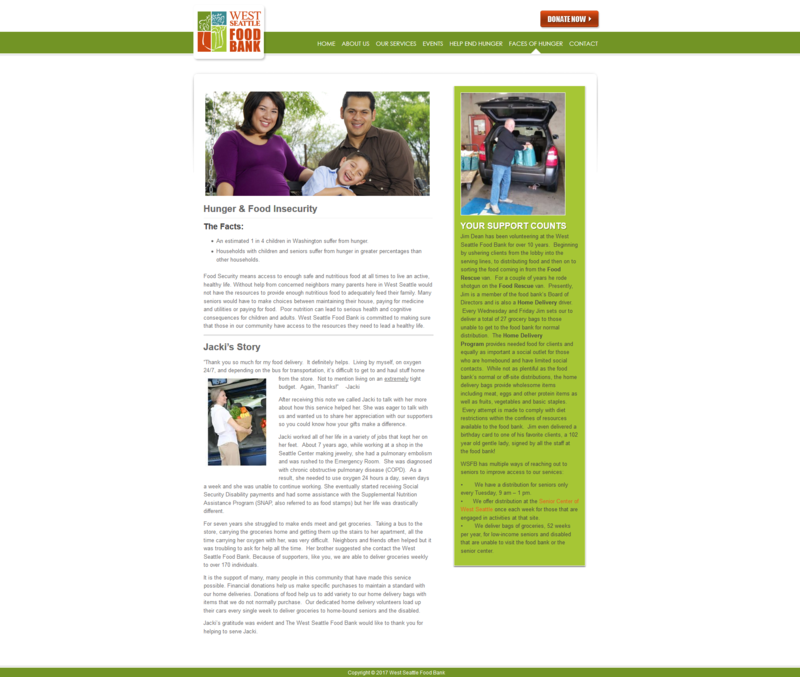 Their site was in need of a fresh update that allowed them the ability to easily update news, hours of operation, and events. 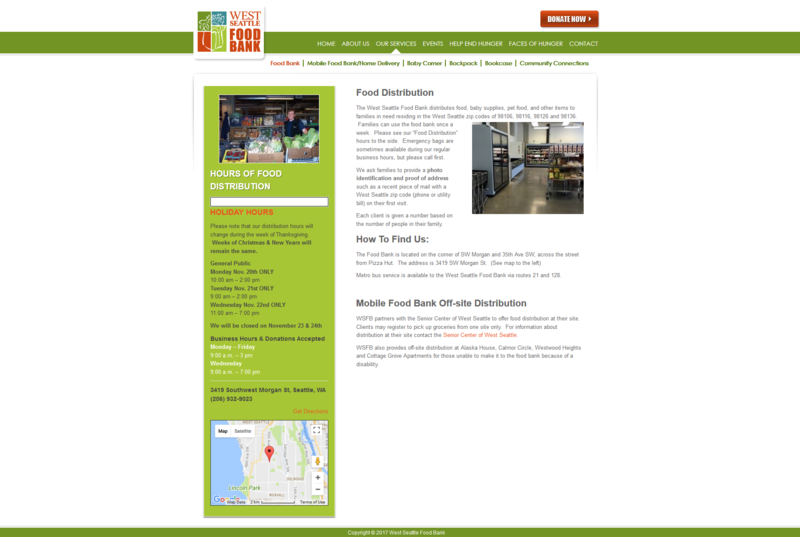 The site was built on a WordPress backend, with a custom theme and custom widgets.